Tapping into our team’s business acumen has enabled a Shropshire-based independent preparatory school to adopt a more business-like model. It means the school has been able to make some big improvements and reinvest surplus moniesfor the benefit of all the children. 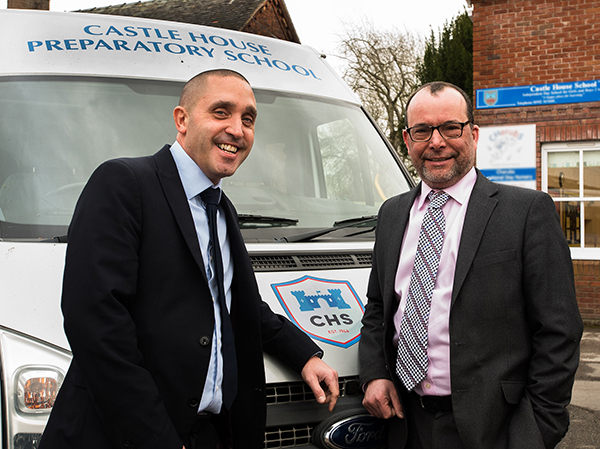 Founded in 1944, Castle House School in Chetwyn End, Newport, currently provides a comprehensive curriculum for children up to Year 6 (age 11 years). Now, it is expanding its offering to educate 12-13 year olds. Head teacher Ian Sterling was keen to update the way the school did things so it could fall in line with modern thinking, particularly given that 2019 is the school’s 75th anniversary. As a result of working with the Howard’s team, the school has been able to enhance experiential learning whilst also expanding its offering to Years 7 and 8.In addition, the school’s on-site nursery has been set up to provide an educational experience – as opposed to a day care service – with lessons, meals and a wide variety of facilities included as standard. Restructuring the school’s approach to finance has meant enhancing its systems and processes to ensure regulatory compliance. Since there was no mandatory requirement for a formal audit, we amended Castle House School’s Articles of Association. We also introduced more cost-effective processes surrounding the submission of annual accounts to help the school fulfil its obligations to the Charities Commission. Carrying out cost/benefit analyses helps to put things into perspective, enabling the teachers to channel resources into initiatives that will have the biggest impact for their pupils. This means that the management team can focus on showcasing what the school has to offer and instilling a sense of kindness, fair play and co-operation. We are so proud of our team at Howards, who are extremely supportive, working late into the evening and even interrupting their family holidays to ensure that help is available when our client needs it. MD Matt’s background in the education sector is an added bonus because it means that Castle House School has access to crucial advice to help it adapt to changes in the economic climate. Parents can find out more about the exciting new developments when the school holds an ‘open week’ from February 11 to 15.